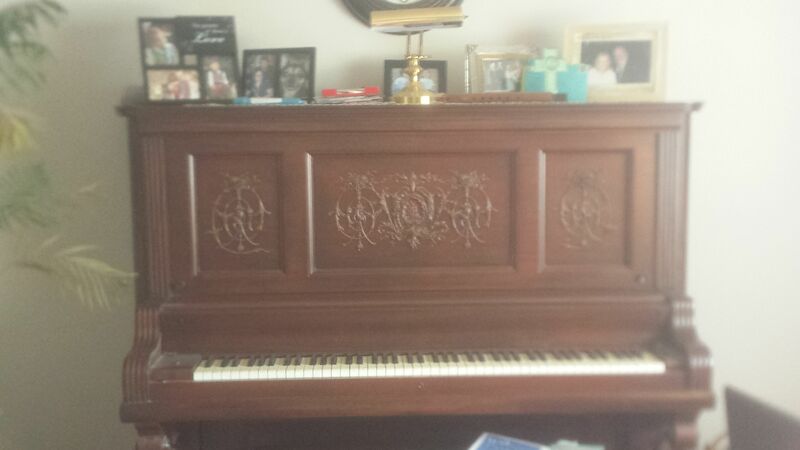 My grandmother had a very old, very creaky stand up piano in her dining room. Once we’d eaten all her cookies and drawn all over her church stationery, we’d pound away on the untuned keys, convinced we were making loud, beautiful music. We were not. But lessons were for rich people and we were not that either. This documentary acquaints us with a whole spectrum of Irish piano students, those studying for their first grade exams all the way to the 8th. Old and young are peppered randomly throughout; some have natural ability and others are a little plonkier, but they’re all more dedicated than me. The kids astound me, of course. The piano seems the antithesis of our sped-up society and I’m impressed that any of them have the chutzpah to put in adequate practice, persevere through the tough spots, and pursue an accomplishment that isn’t very well rewarded anymore. But my favourite of director Ken Wardrop’s subjects is a woman with short gray hair and colourful tunics who persists though she’s the first to admit she isn’t any good. I suppose that’s what I admire most: yes, the music sounds better coming from the fingers of someone for whom this comes easily – but it’s so much sweeter coming from the clumsy fingers of a woman who possesses not the teeniest drop of rhythm. Making the Grade isn’t flashy. There are no stylish tricks. But you’ll find that simply pointing the camera at a bunch of people who know a secret – well, the camera loves secrets, doesn’t it? This is what documentaries are for: exposing those we wouldn’t otherwise know. Whether it’s a little girl discover power and confidence in her music, or a woman finding solace and self-care in hers, it’s moving just to see others be moved by music of their own creation. And of their teachers? This is a loving tribute. This entry was posted in Movie Reviews and tagged documentaries, SXSW on March 28, 2018 by Jay. This sounds interesting. I was one of those weird kids who actually liked practicing piano. Of course, this was in the dark ages, so that might have had something to do with it. I wish I had grown up playing something but if I’m being honest, I’m not sure I would have stuck with it. And I am certainly a giver upper as an adult: I bought a very expensive guitar, took 2 lessons, and then sold it at a huge loss. Ah, piano lessons. I had those. They weren’t fun. But this might be interesting all the same. This is a beautiful post. You’re description is your tribute to this movie’s heart. I want to see it and I hope I get to see it in a theater. Thanks for the heads up. Oh but she is beautiful. Yes, I tried to learn the guitar as an adult and found it difficult – it’s hard to be humble and start as a beginner, really. And do I really have the patience? ?